Merry Christmas, everyone! For this post I decided to pick my top 10 favorite Christmas posts off Pinterest and Tumblr to share with you guys. Most are fandom-related, some aren’t. I’ll try to be fair – one post per fandom. 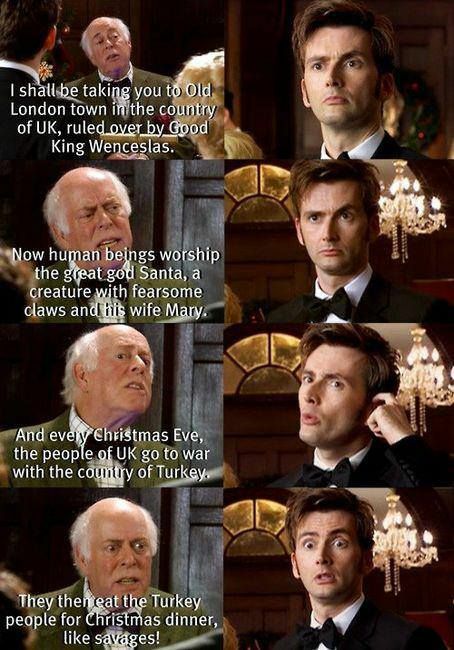 I won’t let Doctor Who hog all the glory, even though it has so many of the best Christmas memes. Let me know in the comments what you think of my picks, and if you have any other memes you’d like to share! 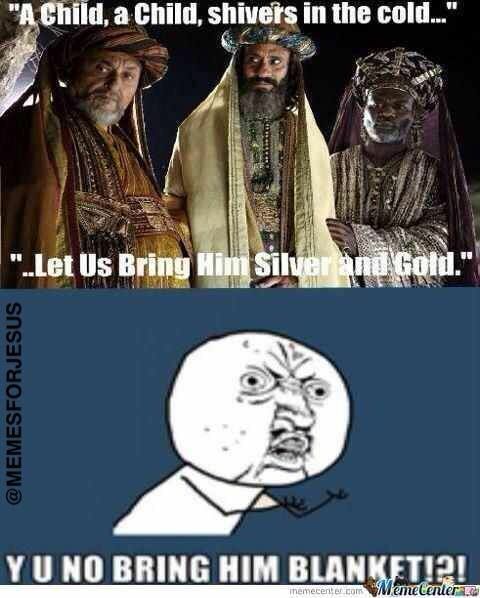 This meme is from the Christmas episode Voyage of the Damned, and my brain was doing the same thing as the Doctor’s face while hearing Mr. Copper’s wildly extravagant rendition of our Christmas escapades. Most of the time, I don’t get the fascination with text posts involving the young versions of characters, but this one is so stinking cute I had to make an exception. And the fact that it doesn’t involve Johnlock (which I do not ship and which there are a bajillion posts about) is a definite plus. Woo! Way to go, Loki! 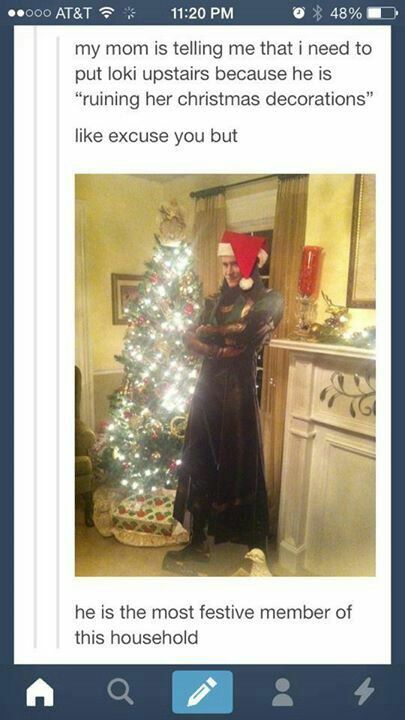 Just the idea of Loki in a Santa hat is hilarious, though. I want one of those cardboard cutouts…. 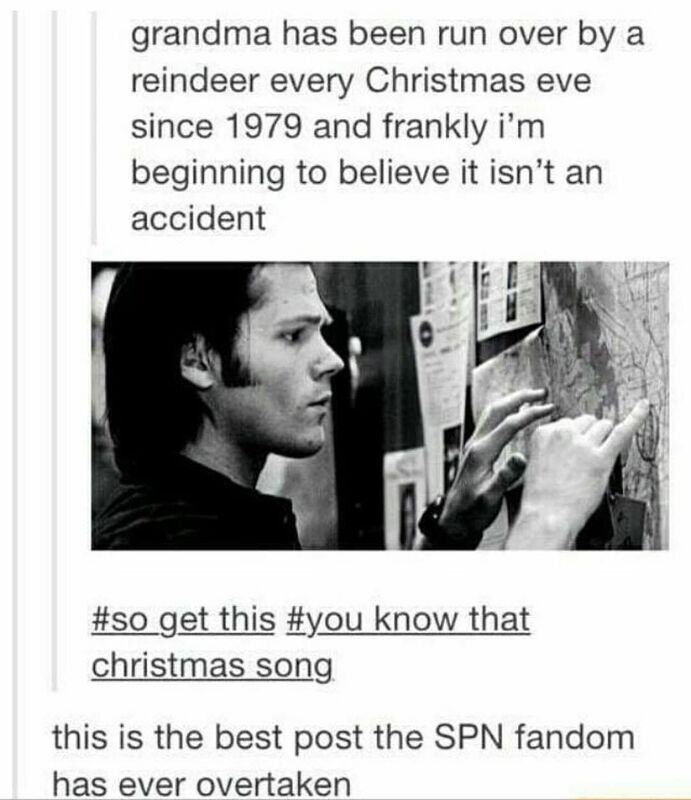 I’m a fairly new SPN fan and I haven’t made it all the way through the show yet, but I’ve seen enough that I understand this one just fine. You get that grandma-killer, Sam and Dean! That’s a lot of cookies, for sure. 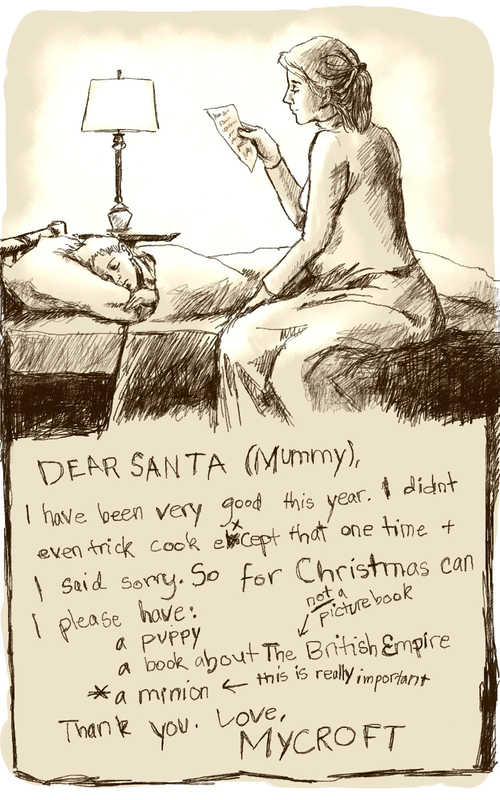 My family used to do something like this every year, though I was little so I don’t know for sure if we really had that many cookies. Whoa. 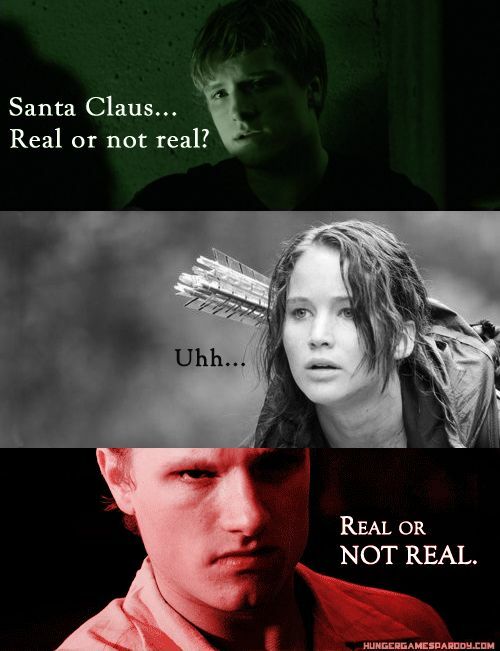 Cool it, Peeta. What’s Katniss supposed to say to that? I’ve always wondered about that myself…. Ruuuude! That’s just rude. 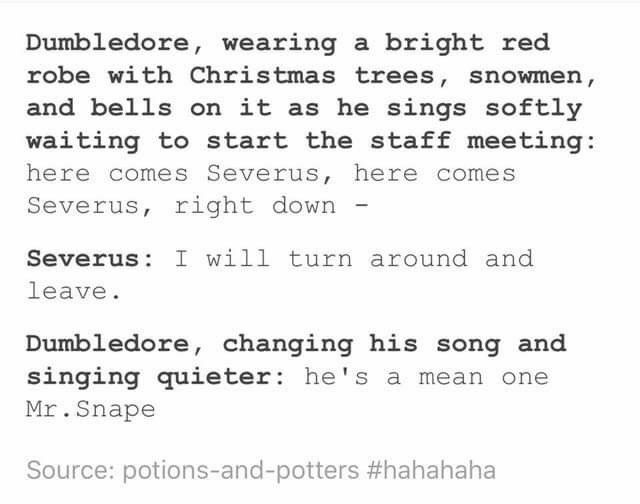 Dumbledore, you leave my baby Severus alone! I will admit, it is kinda funny though. Not many Jingle Bells parodies are this well done. I have seen this one a lot and it has made me laugh every single time. What did you think of my list? Please comment and let me know! Christmas posts are fun – I wish I could have picked more than 10 for this post. Merry Christmas and have a wonderful week! Keep yourself updated on new reviews, threads, comments, and polls!